The odds of this happening are probably millions to one… which is why it’s so interesting to tap into the energy of someone that actually did it. First, and perhaps this is obvious, I believe your mind is the control tower of your business and your life. When you think about it, your mind controls and influences every aspect of your happiness and success. From the basic fundamentals of believing you can or can’t do something to mastering the discipline to lose weight, get fitter, prospect better to grow your business or improve a relationship, your mindset will determine your success in every endeavor. Luck… is not a factor. 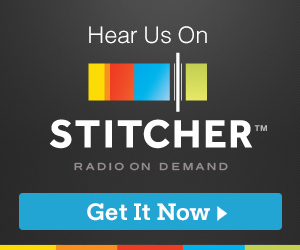 Second, I wanted to learn as much as I can from Jet so I can share it with you, my listeners. 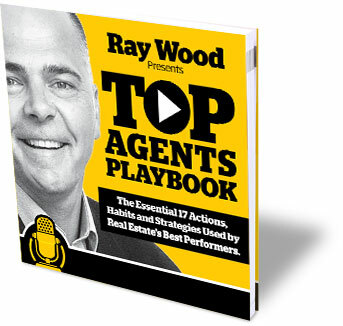 This podcast is not just exposing you to the ideas and strategies of top agents, it’s also about inspiring and motivating you to new heights and enhanced levels of personal fulfillment and quality of life. 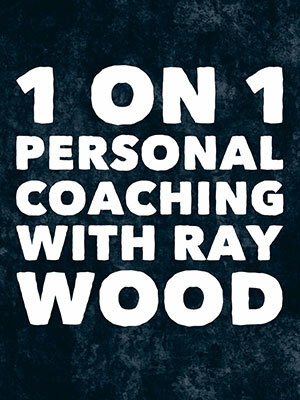 I want the things for you that you want and I see my role through concepts like this program to help you get there. So increasingly, I know and understand that a top agents mindset will not just help you get there but lead the way up the mountain. I’m not saying that I think it might help, it’s that I 100% know it works and in coming weeks I’ll be sharing more of Jet’s insights and ideas to help you achieve an enhanced state of thinking and decision making on a whole new level. We all know that a real estate career can be challenging so from where I’m sitting, I believe we need all the tools we can get. You can have the best boss, be part of a great team, a dominant brand, and a great market but without a top agents mindset, you’ll never capitalize on every opportunity or struggle to rally and triumph when the chips are down. Let’s face it. Sooner or later, we all face obstacles and setbacks. But life is not so much what happens to us, it’s how we handle what happens to us that makes the difference. Which is the perfect segway to intro this episode. As a teenager, my guest found himself bricklaying in East London with his father and grandfather, uncles and cousins. His job was to carry 80 pounds of bricks in a three-sided box up a ladder to build the next course of bricks on a building. He hated his job and for a time believed there was no way out, but one day, he somehow found the courage to quit. What happened next is part of his journey and it eventually led him to his current job to be the man who created Bluefish, the internationally famous company that makes once in a lifetime events happen. My guest is Steve Sims and his day job is to make the impossible possible. With his help and expertise, his clients’ fantasies and wildest dreams come true. Getting married in the Vatican, being serenaded by Andrea Bocelli, and connecting with powerful business moguls like Elon Musk or rock stars like Elton John, are just a few of the many projects he has worked on. Steve’s mindset has taken him from the poverty and struggle of gloomy East London to the glamorous lifestyle and sunshine of California. 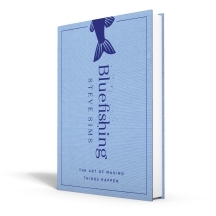 I reached out to Steve after reading his book Bluefishing: The art of making things happen and as so often happens with guests on my show, we’ve been friends ever since. I think you’re going to love this interview with Steve.